Thirsty Pilgrim: Wine Has Parkerization. Does Beer Have Tickerization? Wine Has Parkerization. Does Beer Have Tickerization? For starters, it's not an apples-to-apples comparison. Were talking about a phenomenon that has allegedly taken over all or virtually all wine's largest producers, compared to a niche within the craft beer niche. But there are similarities. And the way that craft beer is booming these days... Well, it's always fair to wonder what awaits us down the road. Wine: Shops and shoppers pay attention to the ratings of critics. Bigger, more obvious, fruitier, sweeter, stronger wines tend to get better ratings (for which Robert Parker often gets all the blame, which is both unfair and a compliment to his influence), which leads to bigger sales. And winemakers naturally want to both (a) make money and (b) give the people want they (think they) want... mutually beneficial goals. Meanwhile, a high rating sends a bottle's price skyward in the speculative market. New international markets are now hip to those ratings, sending prices even higher, creating further incentive to help homogenize the wine world. Sip, swirl, spit, rinse and repeat. The obvious downside of this cycle: lack of diversity. It can be difficult to near-impossible for a casual wine buyer (like me) to know where to find something different -- which often means subtle, acidic, lighter. Vinho verde I know, but beyond that we are often outside the shopkeeper's comfort zone. Beer: It has no Robert Parker, nor do beer critics/writers in general have anywhere near the sort of influence over shoppers that wine writers do. The popular theory is that beer is more "democratic" and less likely to inspire fear in the buyer... The difference in price has a lot to do with it, but so does culture. Few bring a pricey bottle of beer to a party in fear that their friends will turn their noses up at it. After all, whatever it cost, it's only beer. Right? Speaking of democratic: Craft beer drinkers, especially those just waking up to its surprising diversity in flavor, often pay attention to rankings on the big rating sites, Ratebeer and BeerAdvocate -- where they promptly find a surprising lack of diversity. For the same reasons that I reckon obvious wine score well -- it's easy to identify big flavors, even in small amounts -- there are an absurd number of barrel-aged imperial stouts on those lists. There are other flavor bombs too, like sour ales and double IPAs. But huge, strong blackness tends to do the best. It's easy to appreciate the flavors. It's easy to appreciate the color. There's nothing wrong with that, it must be said. I spent about two hours sipping 11 ounces of imperial stout last night, once the tots were in bed, and it was a joy. I like a big bulbous glass of cabernet with my broiled ribeye. The problem is not bigness. It's diversity. Can you find a lighter, more acidic option on the restaurant wine list? 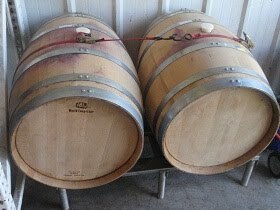 Is your local micro throwing money and time into a barrel program -- and it seems like all of them are these days -- at the expense of other, more original options? I'm on record gnashing my teeth at the relative lack of moderate and low alcohol beers in brewpubs and taphouses these days, and I've read plenty of similar rants among cognoscenti. Bonus hypothetical: If a micro is barrel-aging an imperial stout only to satisfy a subset of customers who will pay a premium for it, when the brewer himself would rather not drink the stuff, is it still "craft"? I would suggest that it is not. Not if we want that word to mean something. Hip-hop head nods to Stan H., Alan M. and Matt Mothafuckin' Kramer. Great post this. Trends do have the tendency to crush creativity. Oh whats that? Another Black IPA? wonderful. A good beer is a good beer, but when someone comes along and does something completely different or redoes an old beer extremely well it just ignites the imagination of all the other brewers and drinkers (see The Kernel IPA's and Export Porter etc). I love the big beers, but its not just about creating a new crazy beers, because every now and again a subtle beer knocks me sideways. A mild, a really good best bitter, a session strength pale, when done well are really something to behold. ...but I am not. A local brewer recently put out a Cerne Pivo at 3.7% - its delicious - and promoted their saison of similar strength to full time. Interesting. I made this exact same analogy a couple of times on BeerAdvocate in the last couple of months. If there's something to look forward to isn't it that the wine elite (at least that in the Western world) eventually turned 180 degrees and embraced the so-called "natural wines"? What will be the beer equivalent of "natural wine"? I was thinking about writing a post along those lines, something that would complement something I've already talked about there. On the one hand, I think this big beers are a product of these times when people do not have too much patience to pay attention to details, they want to be gratified immediately and move on to the next beer. Some beers can do that really well, hence they get the best ratings. Others, the ones that expect you to drink perhaps at least a pint to understand them will always loose and some will judge them as "boring". But after reading some of the comments to a Stephen Beaumont post (I think you know which one) I started to think whether the structure of the biggest festivals in the US isn't to blame, too. You are limited to a very small dose of each beer, the idea is to allow people to taste as many beers as possible without getting too drunk too fast. In that environment a subtle, slender, low alcohol, low IBU beer will always be in a disadvantage against a big, beefy, high alcohol, BA Imperial Stout or three digit IBU DIPA. I agree that diversity can suffer from this, I also think that sites like ratebeer and BeerAdvocate also reward diversity. When a brewer comes up with a truly unique beer that is also delicious, it gets buzz, no matter what. It is an interesting concept to think about and to watch out for, but the truth is that as long as the beer geeks keep trying new things, these trends will continue to change. There are plenty of micro brewers producing top quality beers, usually of lower gravity. They often have a loyal local following but will never be picked up by the new wave of 'cool' beer bars. I assume by "lower gravity" you mean the mainstream strength of around 5% abv, thereabouts. And of course you're right. Those beers are still the moneymakers for most breweries out there. But for those who want to attract attention from the geeks, publicity, high scores or whatever... well, the blueprint is there. Beer-travel-journalist guy, currently based in Berlin, into brown bars, old-fashioned beers and context. 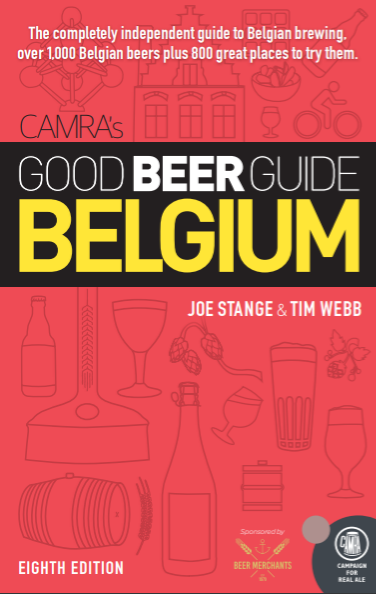 Co-author, Good Beer Guide Belgium (with Tim Webb), 8th published April 2018. Author, Around Brussels in 80 Beers. Just a Year Old, More Props for Urban Chestnut. A Fighting Stance and Higher Motives. More, Please: Cas Beer is Out.